Curated and organized by Duke biomedical graduate students, “The Art of a Scientist” opens this Friday. “The Art of a Scientist” exhibition opening on Friday, June 1, at the Rubenstein Arts Center intends to send visitors away with one resounding message: art and science are not so different after all. Inspired by the energy of a Durham Art Walk Holiday Market back in 2016, exhibit co-chair Casey Lindberg (PhD student, Toxicology) was inspired to pursue “a hair-brained fantasy scheme,” as Lindberg puts it. She teamed up with Eily and Hannah Devens (PhD student, Cell and Molecular Biology) to curate an exhibit of science as art for the general public. John Malik, Phases of the Heart, 2017. Phase Transformation. “When we began to discuss the idea with friends, those in and out of academia and science fields, we received overwhelming support and enthusiasm,” Lindberg shared. Lindberg, Eily, and Devens are co-chairs of Duke INSPIRE’s Science Communication Committee. Duke INSPIRE is a graduate student group encompassing over 60 members from the biomedical fields with the mission to “accelerate academic scientific progress and increase public engagement with scientific development.” In addition to her work with Duke INSPIRE, Eily also helps organize science outreach events at area schools and trains scientists in the tools of improv to help them better connect with their audiences. The final exhibit encompasses works by 22 scientists (including photographs, micrographs, botanical prints, watercolors, and two videos) with visual responses by 13 local artists in wide-ranging mediums. Twelve of the participating scientists used the opportunity to think purely creatively and contributed art pieces. “The Art of a Scientist” aims to bring the creativity of art and science together for a wide audience. Ted Espenschied, The Inside Track, 2018. Fluorescent Micrograph. Upon first look, “Phases of the Heart,” by mathematician John Malik, resembles a starry sky. Read the label, and one learns it is the visualization of a heartbeat. In response to Malik’s dreamy image, Raleigh, NC-based artist Molly Cassidy created an original mixed-media artwork. Other images reveal even more surprising origins. Take Ted Espenschied’s “The Inside Track,” a glowing, organic collage of shapes and textures. 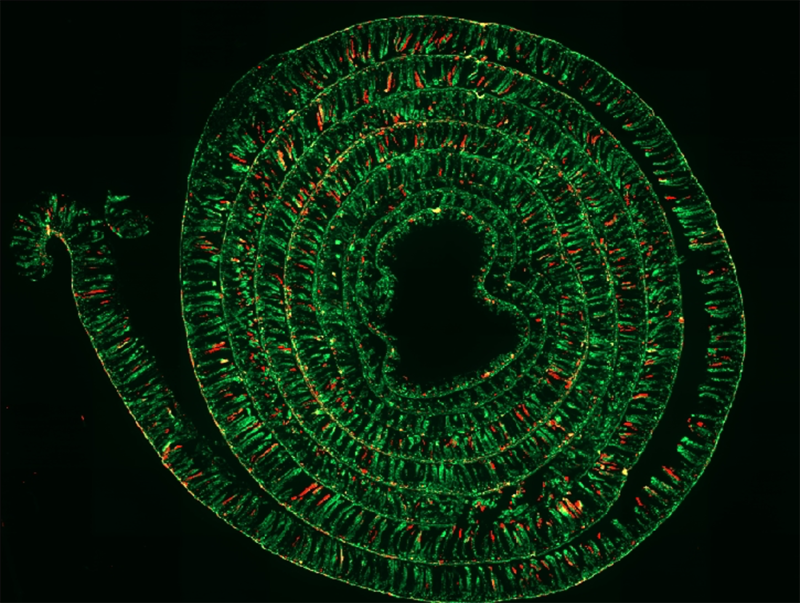 In fact, it is a maximum intensity projection of a cross-section of a zebrafish intestine—and is part of research into intestinal health. Scientists, like artists, are endlessly inventive in their visual communication, tweaking techniques and mixing media for maximum impact. Biologist Ansel Oommen is displaying UV botanical prints of the tulip poplar, created via a technique all his own. 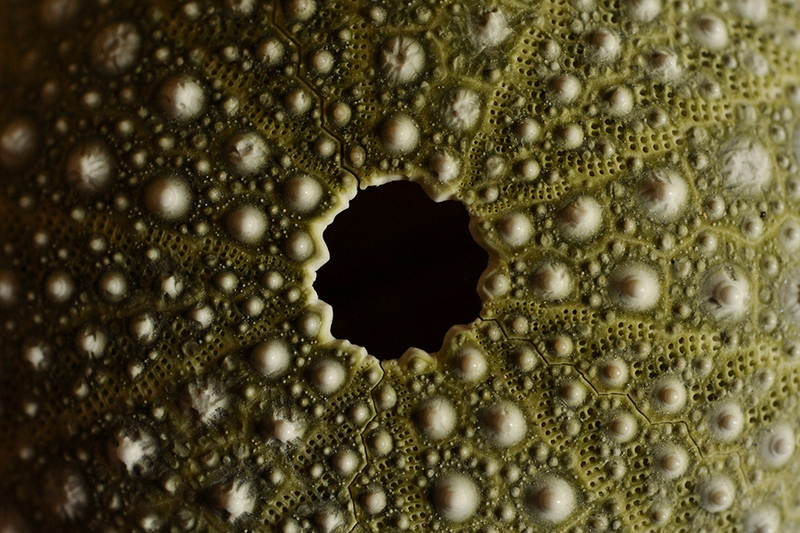 “By migrating between botany, alternative photography, radiology, and photochemistry, I was able to cross-pollinate them all in the process,” explains Oommen. Ansel Oommen, Tulip Tree, Liriodendrontulipifera, 2017. UV Botanical Prints. 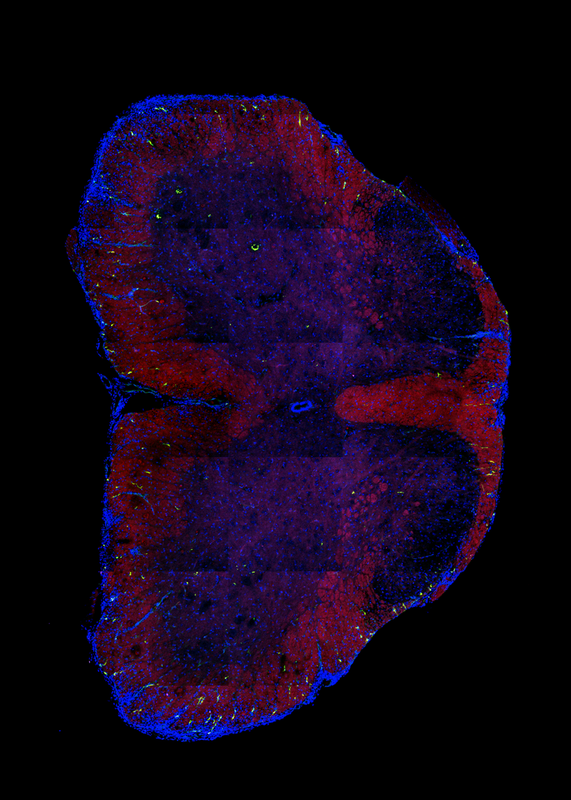 “The Art of a Scientist” is organized by Duke INSPIRE with support from Duke BioCoRE, Duke CMB, Kontek, Nikon, Carolina Biological and the Office of the Vice Provost for the Arts—Duke Arts. “The Art of a Scientist” is on view at the Rubenstein Arts Center starting Friday, June 1 through Friday, August 10. Free programs include the exhibition opening reception on Friday, June 1 (6­–9pm); Family Days with hands-on science activities on Saturday, June 9, June 23, and July 14 (2–4pm); and an interactive panel discussion on Saturday, August 4 (5–7pm) featuring Bob Goldstein (printmaker and Biology professor at UNC Chapel Hill), Sarah Armstrong (ophthalmic photographer at UNC Chapel Hill), Sonke Johnsen (biology professor at Duke University), and Eric Saliim (director of the Fab Lab at North Carolina Central University).